Junior Jack Loechner battled through 2 1/3 innings before being forced to leave the game with a hand injury. 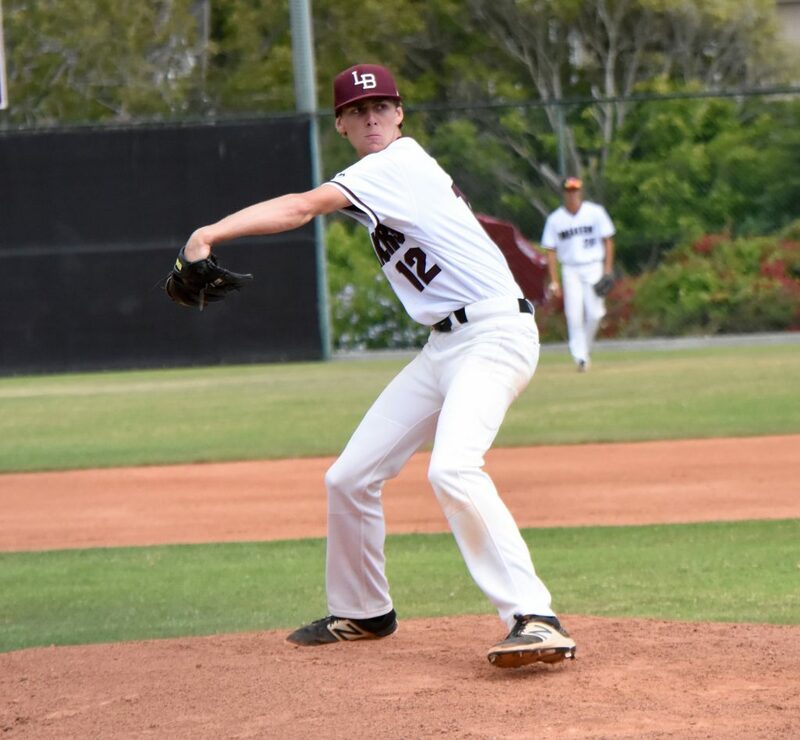 Down 5-3 in the third inning, Laguna Beach High School pitcher Jack Loechner was hit by a line drive that broke a finger on his pitching hand in the CIF quarterfinal against Etiwanda played at home Friday, May 26. After the forced pitching change, the Breakers gave up five runs before bringing in Blake Burzell to slow down the bleeding. Laguna initially gave up five runs in the top of the first inning, including a home run, but Laguna came back to add two of their own in the bottom of the first. Dustin Angus blasted a two-run ball over the left field fence. Laguna added one more in the second and seemed back in the contest until Loechner’s injury. Laguna finishes the year at 22-8. Etiwanda (25-3) advances to face Trinity League champion St John Bosco on Tuesday.